Home » Health & Wellness News & Articles » Brighton Half Marathon – are your muscles race ready? 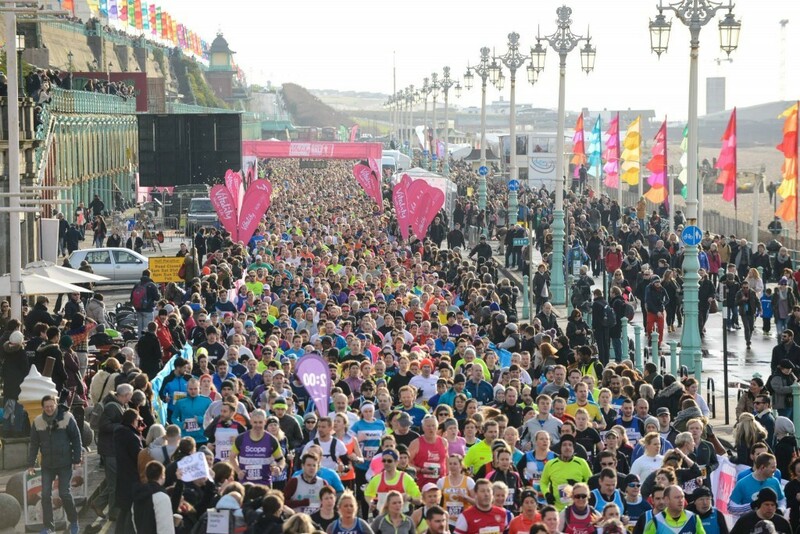 Brighton Half Marathon – are your muscles race ready? The 25th February brings the 28th Brighton Half Marathon, in aid of The Sussex Beacon, who support specialist HIV care. Whether you’re an elite athlete, running for charity or with friends and family, it’s great to get active and raise money for a life changing charity simultaneously. Most people tend to think that sports massage is only necessary post-race, but this is not always the case. Having a sports massage is always encouraged after a big run, cycle or swim to aid the recovery process. While your muscles are under intense pressure, a build-up of waste products such as lactic acid can occur. Having a sports massage can help get rid of this, helping you recover quicker. However, while you’re training for the big day, you do not want to be stricken by an injury. Sometimes, injuries are unavoidable, but sports massage can keep your muscles in optimum shape. Sports Massage integrates a combination of deep tissue strokes and a variety of techniques helping to improve your overall body function and preventing injury. Booking yourself in for a couple of sessions while training may help your overall performance. While your muscles are recovering from a strict training regime, it can be painful. Pain can sometimes discourage you from continuing to train, which can be unproductive. Sports massage can reduce the pain experienced in the muscles, soothing the affected areas. The key to correct recovery from an injury consists of re-alignment, deep tissue massage and exercise rehabilitation. Our approach is focused on increasing the patient’s awareness of problems in order to be able to take on an active role in the minimisation of injuries and advice to prevent injury occurring. We don’t just recommend sports massage for the active individual, but encourage you do have a massage regularly if you consider yourself to be an active person. Call us to book your pre/post-race massage. We wish all those participating the best of luck!